The Style Show: Giordano's Bank on Basics. Basics are timeless and appropriate for every season and occasion. It will always be compatible with Lazy Sunday walks, Saturday night hangouts, afternoon road trips or watching Live Basketball at the arena. Also, being a style blogger for a couple of years, purchasing plain clothes is a good investment. Why? Basic is the only style that never gets out of trend. Until one good news I have heard from Giordano, they will formally launch their Bank on Basics campaign starting this month of June up until the end of July. The brand will offer new colorful basics in the most affordable amount you will never imagine. The label's campaign offers a wide array of shorts, pants, shirts and tees that will surely add that much-needed splash of color to the coming gloomy months. Extend summer, or at least the feeling of freedom and fun summer brings, by pairing a classic plaid or casual shirt with colorful Giordano shorts. Folded khakis in different colors are also available for a more preppy yet relaxed look. “Giordano has always been in the business of creating high quality basics and we know that basics will never go out of style. So for a limited time only, you can buy these essential pieces at discounted prices in all Giordano stores nationwide,” Rochelle Tan said, Giordano Philippines’ VP for Merchandising. Linen and oxford fabrics take the center stage in Giordano’s collection of basic shirts which are perfect casual and formal gatherings with friends, workmates and family. “These classic yet chic fashion pieces can certainly stand the test of time. So don’t miss these wardrobe essentials and head to the nearest Giordano store now,” Tan said. So what are you guys waiting for? Better raid each Giordano's store and invest on your new basics! 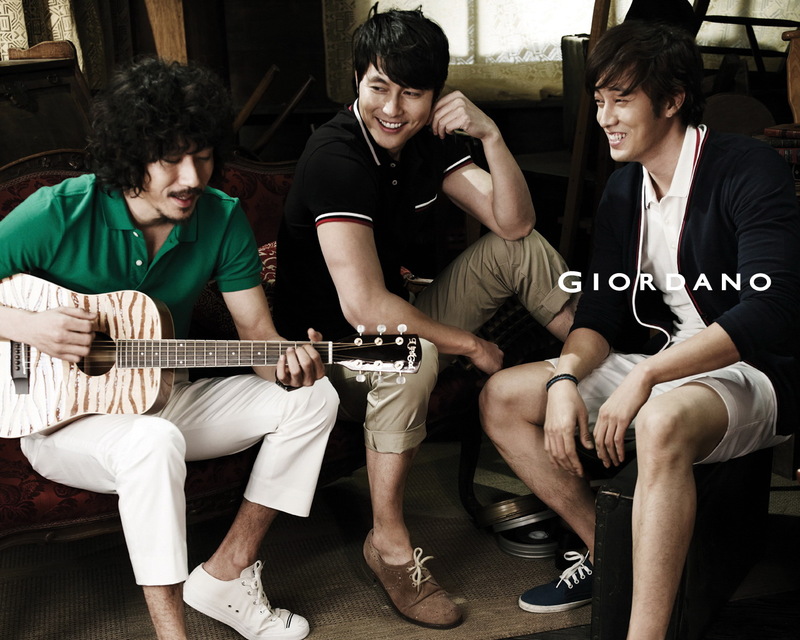 waah, my So ji sub for Giordano, i want one, not the shirt but Ji-Sub, he he he. but honestly i like Giordano not because of the fact that i worked there during my college years but their shirts are simple yet cool. I have several shorts from giordano and this means I could get more. giordano has never failed when it comes to fashion basics, their fabric is comfy too! My mom is fond of Giordano back when she's just young, I just don't know now. I like plain designs too, I find it easy to pair. Find the shorts nice, I wish I can buy one for my partner. My boyfriend just bought one pair last week and it looks so cool. It goes well with anything and any occasion. My husband loves Giordano and I'm sure he would love those shorts! Oooh, those shorts look really nice. I'm sure my hubby would love to wear those on casual days. Will tell him about this. Thanks! Giordano is a reputable brand and very reliable. My family has been using their plain t-shirts for years now and they're still in their best condition. I love how they kept their simplicity and didn't dare to change their brand image. Wow! I love the shorts. I agree with you basic and plain styles are timeless. Giordano knows the classic.